One of the most common plumbing problems is burst pipes. Whether it’s due to cold temperatures putting too much pressure on your Queen City pipes, or the piping has not been properly protected, your broken pipes may now begin to leak. The amount of water lost from leaking pipes could be over 100 gallons. Not only will broken pipes leave you without water, but it could put you out of your home or business for some time, and leave a big mess behind. Have Your Queen City Pipes Burst? If you’re experiencing leaking or damage from pipes bursting in Queen City, it should not be taken lightly and you should act fast. Who better to call when experiencing disaster and when a fast response is needed than Tri-State Restoration Services: your Queen City water restoration experts. For over 18 years, Tri-State Restoration Services is the company properly equipped to get your broken pipes in Queen City and your leaking pipes in Queen City fixed ASAP. How Will Tri-State Restoration Services Help When Your Queen City Pipes Burst? Over time, piping can be exposed and broken down. Don’t deal with water damage or loss of water. 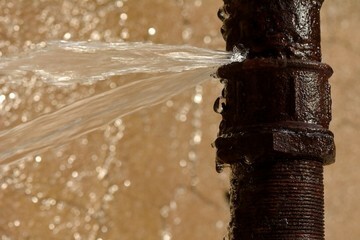 If your pipes burst in your Queen City home, call Tri-State Restoration Services to help restore your investment. 5★★★★★ - "Very professional company with quick response times. I appreciate their commitment to doing things the correct way." 5★★★★★ - "Thanks for the great service!" 5★★★★★ - "Tri-State Restoration, Ron Muddiman offers the most comprehensive solution. Not only was his bid in line with the others I received, but he was also the ONLY one of the bids who gave PHOTOS of exactly what his company would do, Ron spelled out everything in a simple, concise manner that I understood exactly what to expect. Most importantly, does he not only REMOVE mold, and recommend what needs to be removed and why, but he REPAIRS and REPLACES! Who else does that in todays business with homeowners unfamiliar with this process... no one ...ONLY RON MUDDIMAN, TRI-STATE RESTORATION. I highly recommend Ron and his crew who are so thorough. If only all companies operated with these same kinds of ethics." 5★★★★★ - "The work was performed quickly and thoroughly." 5★★★★★ - "Ron was super knowledgeable and helpful in the process." 5★★★★★ - "Great service. I've flood a couple of times in the Milford area as it's really flat and common for us to floor the basment every 5 years or so. In the past floods I let the insurance company send their people not knowing it was my choice and that was a big mistake I realize now. These guys did so much more than the last company did when we flooded I was shocked at how professional and thorough they were. I never write reviews but I felt compelled to because I was so impressed at the job they did. Ron was great. Total pros." 5★★★★★ - "He was very helpful and did not try and sell me services I did not need." "What a great company. We were smelling musty mold, mildew. water got under the hardwood, well, it dried. so no worries. eventually, the floor got weak. the smell got worse and removed a piece of the wood. And mold. disgusting. the testing showed bad air quality in my home from this. I was so very very worried. They immediately, started the work and removed and repaired the damage extremely knowledgeable and professional. just can't praise their care and attention to this matter enough. the air quality is now completely safe." 5★★★★★ - "After the hard rains a few months back our basement flooded. It was a mess. All of the furniture, carpet, drywall everything wet. Insurance dealt directly with the company saved me a lot of headaches. I can say they exceeded my expectations. Very reliable, helpful. They came out the same day I called and finished the job in record time. I highly recommend." 5★★★★★ - "My crawl space had no ventilation. There was an area where water had leaked and mold was leaking. First, I was not sure if it was serious but, I know it had to be dealt with the correct way with a company with a A+ rating and they were just that. They did the testing. Mold was pretty bad. Seen the results from the lab. It was a major priority for them and myself to do this professionally. They took care of the leak, the water damage and the mold removal. Yes, I do recommend them. They were superb. It was worth it for the future of my home and health of myself and the family. Thank you." 5★★★★★ - "Without any hesitation, I would recommend this company. They were so knowledgeable. They came to our home when we were at our worst and needed help with getting mold tested and removed. They really took care of us and our home! We are back to good health and we can thank them very much !!!!!!" 5★★★★★ - "I WAS ON THE INTERNET SEARCHING FOR A COMPANY TO DO A JOB FOR MY HOME. FIRST TIME EVER SEARCHED "REVIEWS" FOR CO. AND IT DAWNED ON ME....I MOST DEF OWE A HUGE THANKS A 5 PLUS STAR REVIEW TO TRISTATE RESTORATION. SO, MY FIRST REVIEW EVER AND WELL DESERVED. SO HOWEVER, I WAS IN NEED OF AIR QUALITY AND MOLD TEST. BUT, DID NOT REALIZE THIS UNTIL I KEPT A JOURNAL, MY DAUGHTER BEGAN HAVING BREATHING PROBLEMS THAT WERE WORSENING, I FELT FATIGUED A LOT MYSELF AND NOT"NORMAL AND THOUGHT THIS WAS NORMAL. BUSY LIFE..UNTIL !!! THINKING BACK, I SEEN THE MOLD IN MY BASEMENT I NOTICED AND BLEW IT OFF AND OF COURSE, CLEANED IT WITH BLEACH. NEEDLESS TO SAY AFTER EDUCATING MYSELF ON MOLD AND BLEACH I REALIZED I MADE THINGS WORSE AND I LITERALLY HAD EVEN SPREAD, SCATTERED TOXIC INVISIBLE MOLD SPORES.... AS MY DAUGHTER NEEDED HER INHALER, THEN A NEBULIZER AND WAS NOT FEELING HERSELF I TOOK HER BACK TO DOCTOR OFF AND ON, VERY WORRIED AND STILL NOT THINKING IT WAS " THE MOLD" . THE DR. SUGGESTED A JOURNAL OF WHEN IT WAS WORSE AND WHAT SHE HAD BEEN EATING AND DOING AND ACTIVITIES HER ENVIRONMENTS SHE WOULD SPEND TIME AT. TURNS OUT IT WAS WORSE IN THE MORNING AND AFTER A WHILE JUST A EVERY DAY THING OFF AND ON.........NEVER DREAMED IT WAS THAT "NORMAL" LOOKING MOLD I SEEN AND BLEW OFF AS NO BIG DEAL, BUT IT WAS DISGUSTING. SO DOCTOR SAYS DO YOU BY CHANCE HAVE MOLD ??? ....YEA, LITTLE NOT MUCH. HE SAID, YOU SHOULD HAVE IT CHECKED OUT...REALLY?? I WAS THINKING, IT CAN'T BE THAT !!!! BUT I SEARCHED AND FOUND A CO TO COME AND TEST IT. THE HELPFULNESS AND EDUCATION THEY GAVE ME ALONE GOT ME THINKING . I SURE HOPE ITS NOT THAT CAUSING THESE HEALTH PROBLEMS IF SO, I AM TO BLAME. THEY EDUCATED ME AND MADE ME AWARE PPL SEE MOLD ALL THE TIME AND DO NOT UNDERSTAND THE DANGERS AND DO NOT REALIZE THE MOST SERIOUS DANGERS. SO, I AM NOT A BAD PERSON, NOT A BAD PARENT AND NOT ALONE...IF, IT IS THE MOLD. THEY CAME OUT IMMEDIATELY. TOOK A CULTURE. KEEPING ME UPDATED AND EDUCATING ME AND I GOT ON INTERNET AND EDUCATING MYSELF. I GOT VERY SCARED. SO THEY EXPLAINED HOW IT WORKED AND MY MOLD WAS CULTERED AND SENT TO A VERIFIABLE LAB AND SURE ENOUGH. . . .IT WAS A STRAIN AN DANGEROUS TOXIC MOLD. THERE ARE 3 BAD STRAINS. YOU CAN NOT LOOK AT IT AND TELL IF YOU HAVE GOOD MOLD OR "BAD" MOLD. IT WAS A STRAIN OF STACHYBOTRYS. OVERWHELMED YES, BUT KNEW I WAS IN GREAT HANDS. ALTHOUGH I FELT OVERWHELMED WITH GUILT AND SCARED. I WAS ONCE AGAIN ASSURED THEY WOULD GET MY FAMILY LIFE BACK TO GREAT HEALTH. AFTER THEY DID THE WORK, KEEPING ME INFORMED ALL THE WAY EVERYDAY, EVERY STEP AND SHOWING COMPASSION AND CONCERN AND DETERMINED TO MAKE ME AND MY FAMILY FEEL FREE OF ALL AND EVERY BIT OF THIS TOXIC SITUATION AND TO STORE US BACK TO NORMAL HEALTH AGAIN I WAS MUCH BEYOND HOPEFUL AND ASSURED WITH FULL CONFIDENCE BY THE PROFESSIONALISM AND KNOWLEDGE. AFTER A FEW DAYS OF WORK, THEY DID ALL AIR QUALITY TESTING. SEND OFF TO LADS AND I CAN SAY, WE ARE FREE OF TOXINS. FREE OF BAD HEALTH ON JUST 1 MONTH AND BACK TO COMPLETE NORMAL LIVING WITHOUT ANY MEDICATION AND ANY WORRIES................A MOTHER CAN NOW SLEEP AT NIGHT WORRY FREE. THANKFUL AND GLAD TO BE ALIVE! THANK YOU RON MUDDIMAN AND STAFF! OH MY GOSH, THE BEST TEAM AND MOST HELPFUL COMPANY I HAVE EVER BROUGHT INTO MY HOME TO LITERALLY SAVE MY LIFE AND MY FAMILIES LIFE...............THANK YOU IS NOT ENOUGH !!! THEY TOLD ME THEY HAD THIS AND THEY DID AND WHAT A PEACE OF MIND, every day!" 5★★★★★ - "Very professional and courteous"
5★★★★★ - "The gentlemen showed up prepared and ready to work. Very detail oriented and respectful of our home. I would recommend them to my friends and family members without hesitation." 5★★★★★ - "Were very good did a nice job left basement nice and clean. Had to do nothing move everything for me that was heavy. Were nice and professional"
5★★★★★ - "Ron was at my condo within an hour of finding water in the kitchen and laundry rooms. He immediately took control of the situation. He explained what needed to be done and reassured me that everything was going to be OK. He was professional from start to finish! Thank you again!" 5 ★★★★★ - "Well let me tell you Our experience was probably the best you can get with the situation. I speak highly of Ron and the guys to everyone I know. Everyone who has seen the work they did in the before and after photos just can not believe it. The outcome speaks volumes of the kind of business they operate. Have to say, they are just the best,"
5 ★★★★★ - "AWESOME ! Well let me tell you Our experience was probably the best you can get with the situation. I speak highly of Ron and the guys to everyone I know. Everyone who has seen the work they did in the before and after photos just can not believe it. The outcome speaks volumes of the kind of business they operate. Have to say, they are just the best, I appreciate their honestly and hard work." 5 ★★★★★ - "I would like to say that these were the hardest freakin working guys I ever seen, very polite, very dedicated and the work was not easy required a company that absolutely knew what they were doing to do it right and did leave my house in living condition while they dried out the water, the removal process of the old wet stuff (my gosh)to get it dried and salvageable or dispose of the stuff, was outstanding. The owner worked directly with me and with my insurance and saved me a lot of time I did not have. thank you all. lifesaver best"
★★★★★ - "I wrote reviews and they are gone. The experience I had was amazing. I just can not give enough praise to the crew and the owner. Best group of people I have ever had do work for me ." ★★★★★ - "WE HAD STUFF THAT LOOKED LIKE MOLD. SMELLED BAD AND WAS SCARED FOR MY FAMILIES HEALTH. WE JUST NEEDED TO HAVE IT TESTED AND REMOVED. THE ASSURANCE OF KNOWING THESE TOXINS ARE REMOVED WITH HIGH LEVEL OF QUALITY TESTING AND STATE OF THE ART EQUIPMENT ASSURED ME WE CALLED A TRUSTED COMPANY AND IT WAS WELL WORTH IT. MIGHT ADD, THAT THEY WERE AWESOME, EVERY STEP. " ★★★★★ - "I just can not say enough thanks for the excellent care and professionalism you guys gave me. I am a somewhat skeptical person and non-trusting so I hesitated to get help for myself in my home with my mold situation. I was completely assured this would be handled at a reasonable cost and professionally done and yes, every bit of the work done was exceptional. I have some new friends now and will recommend your company any day of the week. Amen to that. " 5★★★★★ - "The damage we had from the hard rain needed immediate water removal and repair. Thought everything would be a total loss. But, it was not because they got here so fast. The owner understood my financial situation and happily helped with my deductible. Gave me a more than fair cost. The job they did was just completely exceptional and professional. Yes, I highly recommend." 5★★★★★ - "They were very polite and knowledgable. They worked hard and did not stop until they had things in a safe working condition. For such a big job, we were amazed on how quick they got it done. It looks great and we will recommend you to others."